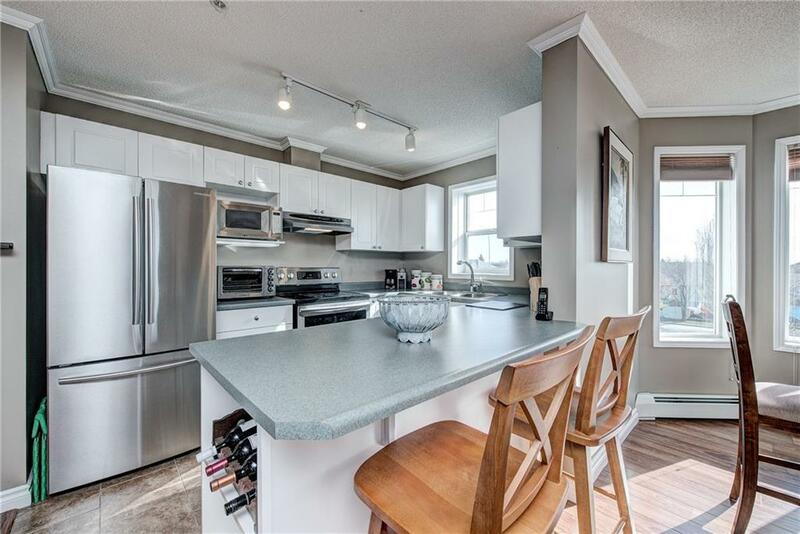 Carefree lifestyle awaits you in this Large top floor corner unit, bathed in natural sunlight!! Move right in and enjoy the fresh paint, new flooring, baseboards, light fixtures and loads of windows. 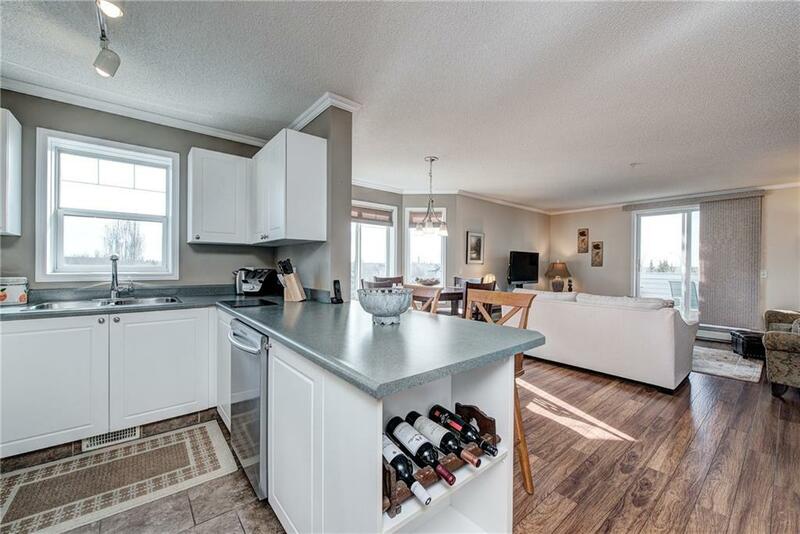 Love entertaining in your functional kitchen featuring white cabinets and newer SS appliances, that overlooks the dining space with bay window. 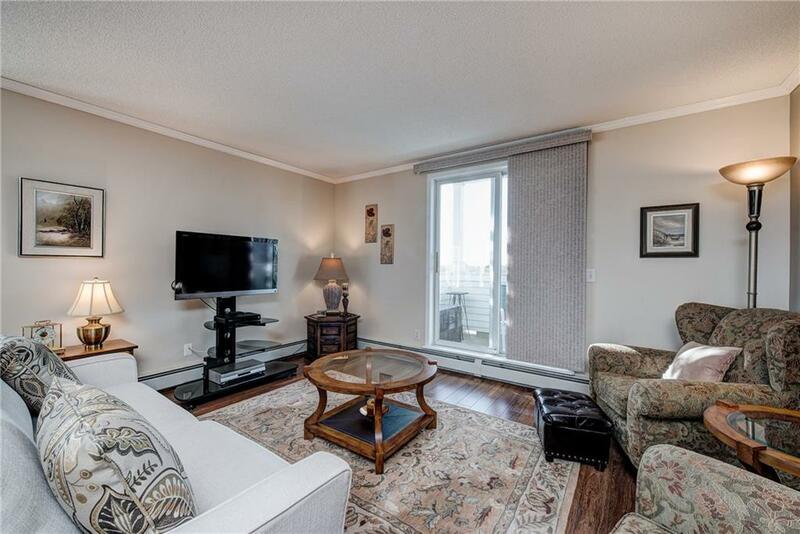 The living room is very spacious and features a patio door that opens to a huge south facing covered balcony with natural gas hook up, a perfect place to spend those hot summer nights. The large master bedroom has a great layout and boasts a walk in closet and 4 piece ensuite. Good sized 2nd bedroom & another full 4-piece bathroom. Spacious in suite laundry/storage room & separate assigned storage locker provide lots of additional space! The Lake at Country Hills Village is a short trip down the path where you can spend hours walking or riding your bike. 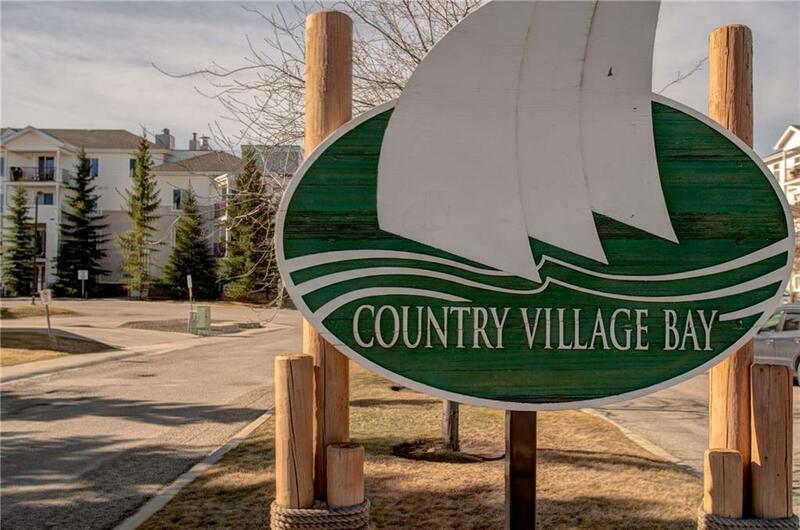 Close to all shops and services and great access to Deerfoot & Stoney Trail. What are you waiting for? Call today.